With ten spots remaining for the 2019 Africa Cup of Nations, we preview some of the key fixtures ahead of this weekend's final round of the qualification. 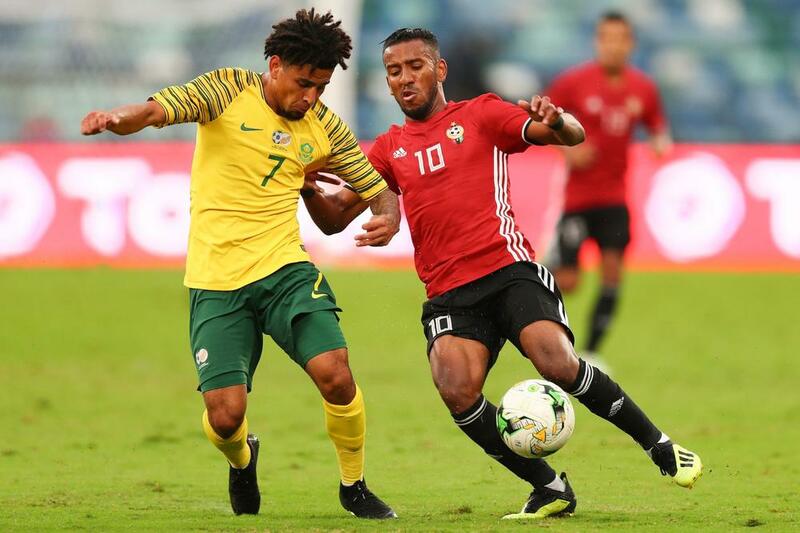 The stage is nearly set for the 2019 Africa Cup of Nations, but before the opening ceremony gets underway in Cairo, Egypt, on 21 June, there is still one final round of nail-biting qualification action to get through. The tournament’s expanded format will see 24 teams duke it out to be crowned Africa’s greatest soccer nation and earn the prestige of representing the continent at the 2021 Confederations Cup in Qatar. Botswana may be in last place, with a paltry one point to its name, but second-placed Angola also has the psychological pressure of Burkina Faso breathing down its neck to contend with. Only a win can guarantee Srdjan Vasiljevic’s side a spot in this summer’s competition. The last time these two sides met, Angola came out on top with a 1-0 victory. Alanyaspor’s Djalma Campos will look to help the Angolan team over the line and reach the third Africa Cup of Nations of his international career. Angola has never won the Africa Cup of Nations. This year would be as good a time as any to change that for the Sable Antelopes. The fate of both teams hangs in the balance in Group B’s crunch game between Cameroon and Comoros. Sitting in second place with eight points, the Indomitable Lions hold the upper hand; the onus being on Amir Abdou’s islanders to win the deciding fixture. A win by more than one goal will automatically qualify Comoros to an Africa Cup of Nations berth. Considering the country’s rich soccer history, and its status as reigning champion, it would come as a huge upset for Cameroon to miss out on a 24-team tournament. However, things are so finely poised heading into the final weekend of qualifying action that should Cameroon win and group leaders Morocco lose, they would qualify top of the group. The last time the two sides faced each other, the result was 1-1. Cameroon’s front line is stacked with talent with the likes of Marseille’s Clinton N’jie, PSG’s Eric Maxim Choupo-Moting and Villarreal’s Karl Toko Ekambi keeping opposition defenses on their toes. There are also a couple of very familiar faces on Cameroon’s bench with Clarence Seedorf taking charge as manager last August alongside assistant manager, and fellow Dutchman, Patrick Kluivert. Our hearts go out to the anguished fans of Group G. All that separates group leader Zimbabwe from fourth place Congo is three points. The result here will come right down to the wire. President George Weah might even decide to lace his boots back up as in the group’s other game his beloved Liberia is set to face Democratic Republic of the Congo. That match will air on beIN SPORTS Connect 4 at 8:45 am ET on Sunday. South Africa has not won the Africa Cup of Nations since 1996. This was also the first time the ‘Bafana Bafana’ were hosts. The matchup between Libya and South Africa provides another heavily contested race for the top spot of the group. Nigeria may currently hold top spot with then points, but South Africa and Libya sit closely behind with nine and seven points respectively. A loss for South Africa rules out qualification, a result the former World Cup host nation won’t want to entertain. A win for Libya means a guaranteed berth to the Africa Cup of Nations. Having only been to the tournament three times, one of which was in 1982 when it was host, this would mean the world to the Mediterranean Knights.